Many pools are coated with Chlorinated Rubber Pool Paint and after 2 – 3 years it looks like this. 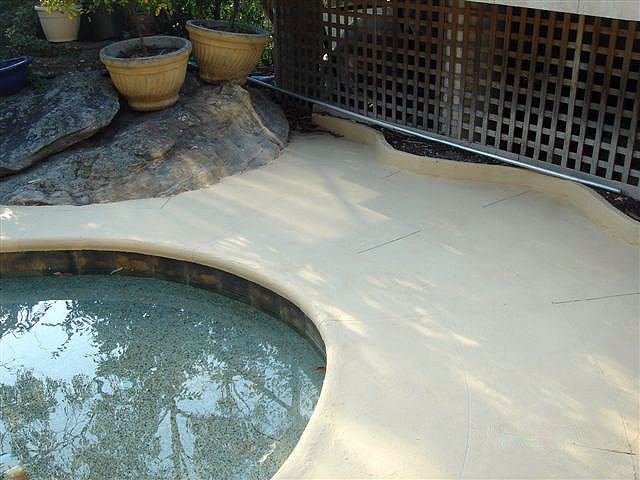 However you may not know if its this type of paint and as its incompatible with epoxies its important to know if your pool has it or not. The easy way to test is to get either some Nail Varnish Remover (Acetone) or Epotec Thinners. Saturate on a corner of a clean rag, cloth or tissue and then hold against an area of clean paint. After 20 sec’s remove and check you rag etc. Also place your finger on the paint where the rag was placed. If you have lots of paint, like in the picture, (or on your finger it feels sticky) then its Chlorinated Rubber Paint. It will need to be removed before applying an epoxy. This can also be done if pool still full of water. Just be definite in you actions to put the saturated rag on pool surface, then remove and it show the same outcomes.